WHAT: The University of Illinois Springfield Engaged Citizenship Common Experience (ECCE) Speaker Series presents “Hope is the Thing with Little Clear Wings,” a Sustainability Week keynote presentation by natural history and conservation photographer Clay Bolt. This event is free and open to the public. WHEN: Wednesday, November 15, 2017, at 6 p.m. DETAILS: Over the past 10 years, we've heard a lot about the shocking disappearance of honey bees. However, many people don't realize that North America is home to approximately 4,000 species of native bees that are irreplaceable pollinators with an extraordinary beauty all their own. In 2013, Bolt set out on an adventure to meet, photograph and tell the stories of many of these beautiful, beneficial insects. Soon he came across a specimen of a rusty-patched bumble bee in a scientific collection and learned about its tragic decline. Determined to use his photography to create more awareness about the insect's demise, he worked with partners to create a film, which he then shared across the country on behalf of the bee, from small venues to a rare opportunity to present on Capitol Hill. In March, 2017 these efforts paid off, and the rusty-patched bumble bee became the first species of native North American bee to receive protection under the Endangered Species Act. 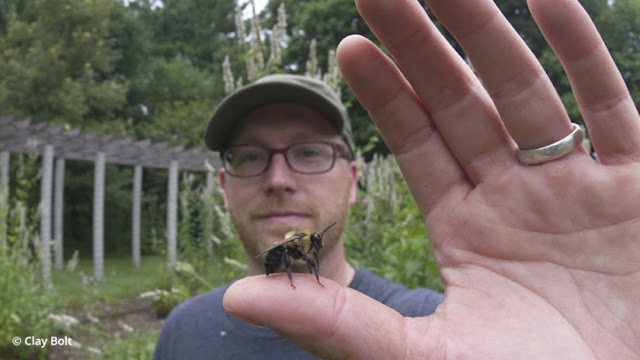 Bolt will share some of his favorite images and stories about native bees and talk about what people can do to make a difference in their lives. WHAT: The UIS Engaged Citizenship Common Experience (ECCE) Speaker Series and the NPR Illinois Foreign & Independent Film Series sponsored by the Office of Student Life present a screening and discussion of the 1985 film “Ran.” The discussion will be moderated by UIS Associate Professor of History Peter Shapinsky. This event is free and open to the public. WHEN: Friday, November 3, 2017, at 7 p.m. DETAILS: “Ran” explores the human condition through a lens of feudal Japan. In medieval Japan, an elderly warlord retires, handing over his empire to his three sons. However, he vastly underestimates how the newfound power will corrupt them and cause them to turn on each other and him. 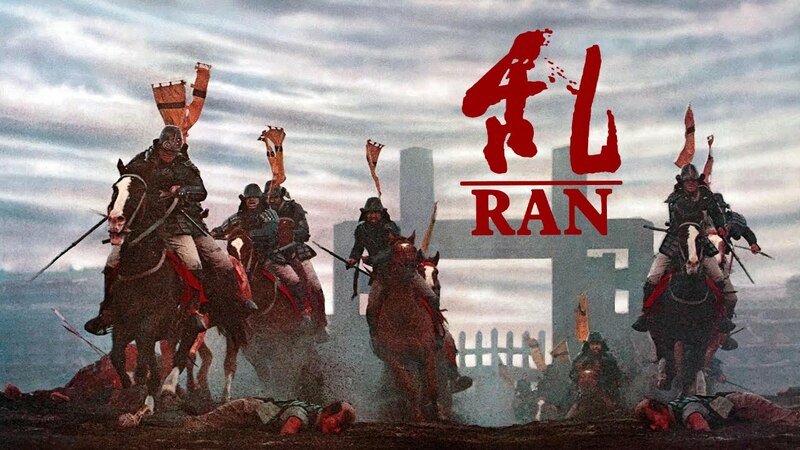 A facilitated discussion led by Shapinsky will follow the movie to explore accurate historical understanding and cultural appreciation along with other takeaways from Akira Kurosawa’s classic film. Shapinsky is the author of “Lords of the Sea,” a book on medieval Japan. 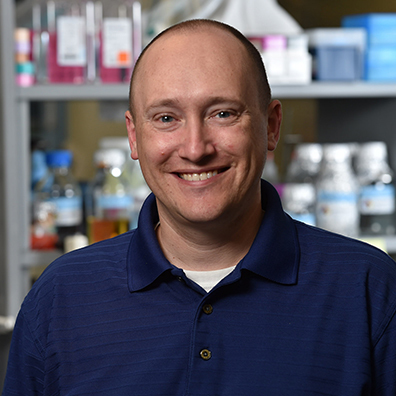 He was the recipient of the 2016 University Scholar Award at UIS and is understood to be one of the foremost scholars on Medieval Japanese piracy and Japanese maritime history. Shapinsky is also fluent in Japanese to aid in his studies of East Asian history. UIS Diversity Center and Lincoln Home National Historic Site host a screening of the film "An Outrage"
The University of Illinois Springfield Diversity Center and the Lincoln Home National Historic Site invite the public to attend a screening of the film "An Outrage," a new documentary film about lynching, on Thursday, October 26, 2017, from 4 to 6 p.m. at Brookens Auditorium on the campus of the University of Illinois Springfield. The screening and discussion is free and open to the public; doors will open at 3:30 p.m. The film, produced by the Richmond, Virginia-based independent filmmakers of Field Studio, had its world premiere at the Smithsonian National Museum of American History in Washington, D.C. in March, and will be distributed by the Southern Poverty Law Center’s Teaching Tolerance project to nearly 500,000 teachers—and their millions of students—across the United States starting this fall. In April, at the Indie Grits Film Festival in Columbia, South Carolina, "An Outrage" received the Audience Award, marking it as the favorite among more than 80 films in competition. In August, the film was awarded Best Documentary Short at the Middlebury New Filmmakers Festival in Vermont. The film is directed, edited, and produced by Hannah Ayers and Lance Warren, co-directors of Field Studio, who seek to make the film a hub for action. “Our principal goal,” notes Warren, “is to spur needed conversations that lead to real change, so the film conveys powerful stories and vital history in short form.” Ayers and Warren are currently on a 20-state tour of the film. "An Outrage" includes interviews filmed in an artistic style uncommon for historical documentaries. The interviews include Holloway; two-time Pulitzer Prize-winner Isabel Wilkerson (author of The Warmth of Other Suns); Mia Bay, Rutgers University historian and Ida B. Wells biographer; and Yohuru Williams, historian and University of St. Thomas Dean of the College of Arts and Sciences. "An Outrage" will be available for free to teachers starting this fall through the Southern Poverty Law Center’s Teaching Tolerance project, an anti-bias education program with a network of nearly 500,000 teachers across the United States. The film has a 33-minute run time designed for use in classrooms and community forums. Teaching Tolerance is also developing curriculum to use with the film. 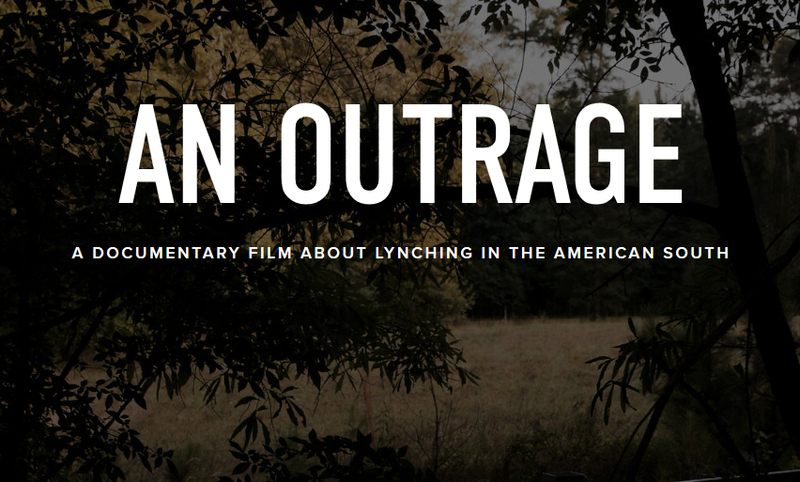 Anyone wishing to obtain further information regarding the screening of the film "An Outrage" is welcome to contact Lincoln Home National Historic Site at 217-391-3241 or the University of Illinois Springfield Diversity Center at 217-206-6333. The University of Illinois Springfield Visual Arts Gallery is pleased to present “of strange shadows” from Texas-based collaborators Leslie Mutchler and Jason Urban. 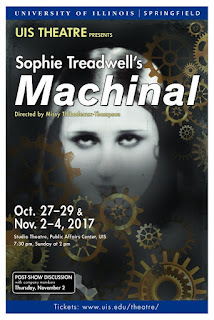 The exhibit will open on Thursday, October 26, and run through Thursday, November 16. An artist reception will take place on Thursday, October 26, from 5:30 to 8 p.m. The exhibit, “of strange shadows,” is an investigation of color, print and collective memory. Contrasting a subdued primary palette with gray images of residual protest and violence, artist-collaborators Mutchler and Urban look back to the 1960’s and 1970's as captured in printed matter from the same era. 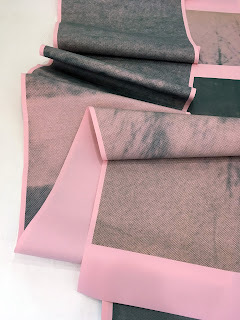 The installation of layered digital prints evoke the smoking and obscured remnants of a civil strife and political tumult at once too familiar and yet distant. The layering of large-scale, abstracted images printed on everyday bond paper suggests the ephemerality and fragility of any one generation’s defining moments. As artists and collaborators, Mutchler and Urban are interested in the handmade (handprinted) and the duality of actual and virtual, experience and meta-experience. Both have multiple degrees in printmaking and have been working for several years to make relevant the archaic and dying craft of print. Mutchler’s recent projects are experiential and examine the functionality of the printed form through multi-participatory installations. Urban is co-founder and co-editor of Printeresting.org, a 2011 Creative Capital Warhol Foundation Arts Writers Grant winning blog, focused on interesting and relevant contemporary printmaking, print, and print-related issues. Both teach in the Department of Art and Art History at the University of Texas at Austin where Mutchler is associate chair and director of the AAH Core Program and Urban is head of the studio division's print area.